Ernst & Young’s Global Fraud Survey has one in five Canadian executives believing that corrupt practices, including bribery, happen regularly in this country. Canada’s fraud landscape does differ from the global norm – of course we like to do things our way. 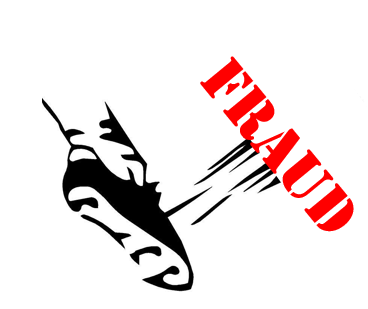 Areas like vendor / procurement fraud, internal financial fraud and market collusion practices tend to sit well below that in other parts of the world. But two types of fraud take top spot for Canadian companies compared to our peers. Our country’s incidences of management conflict of interest was the second highest of any geography in the survey, sitting at 29%. And as far as information theft goes, the score was tied at 29%, higher than the survey average of 22%. These frauds are expensive to organizations, and this is proven as Canadian responding organizations lost 1.7% in revenues last year – compared to the global average of 1.4%. So Canada, What Are We Doing About It? Given the high level of management conflict of interest, it is not surprising that senior managers were frequently among those illegally taking money from firms. Of those organizations which experienced fraud in the last year and where the fraudster was known, senior or middle management played a leading role at 43%, well above the survey average of 32%. Surprisingly, Canadian companies are less active than most in protecting themselves against their biggest frauds. Only 63% are putting money into new IT security software in the next 12 months, compared to 68% on average. And only 29% have tested an information security incident preparedness plan in the last six months, compared to 48% on average. As well, only 40% are investing further in management controls, compared to 43% of the survey as a whole. And not to be left out, just 34% are putting money into staff training and whistleblower hotlines – which we know prove to be a good sources of information on senior and middle management – compared to 43% on average. Canada, We Need to Try a Little Bit Harder To Better Address These Big Problems! Unethical behaviour like offering goods and other benefits, such as entertainment, gifts and cash payments, to win or retain business is most certainly not built into typical job description duties. However, Canadian businesses seem to be mastering this. Corrupt practices like this interfere with fair competition for business. Organizations really need to create a culture where ethical behaviour is at the core of their operations – not just at home in Canada, but also with their overseas operations. 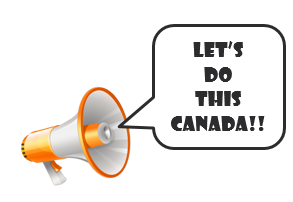 And… Speak Up Canada! Organizations Need to Encourage People To Speak up if They Think Something’s Not Right. The E&Y survey found that only 74% of Canadian companies have whistleblowing hotlines – considerably lower than in the United States with 96% and the United Kingdom 82%. Organizations can do many things to address corruption and fraud on the inside, including conducting internal audits of compliance, clearly defining procedures for dealing with reports of fraud, and yes, implementing a certified ethics reporting program. It starts at the top – organizations’ top level needs to set the tone that fraud and corruption are serious issues that won’t be tolerated. An organization puts its entire business on the line if it does not have a company culture that demands transparency to minimize fraud and help prevent any type of crime. Promoting a culture of integrity, collaboration, and transparency…it’s what we do. Having an independent certified ethics reporting system such as Whistleblower Security on your side, is a very powerful tool that can be used to anonymously report wrongdoing. And the whistleblower certified ethics reporting program is a very small investment to Canadian organizations and delivers very powerful results that will enable business success. With a 24/7/365 whistleblower hotline and certified ethics reporting system, employees can be assured that all of their ethical concerns will be heard and addressed.